Sarah E. White is a former writer for The Spruce who contributed 309 knitting articles over the course of more than nine years. 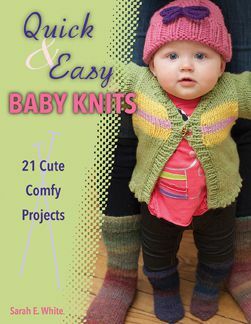 A freelance writer, editor, and avid crafter, Sarah authored three books on knitting including Quick and Easy Baby Knits, Colorwork Knitting, and a book about felting. She also writes about knitting for Craft Gossip and writes about crafting with and for kids and living the creative life at Our Daily Craft. Handheld Steamer: an Unnecessary Tool or a Knitter's Best Friend?